Kevin leads a team of Solution Architects that design managed services and hosting solutions for Rackspace Customer’s mission critical systems and databases. 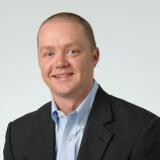 Kevin has been in the ERP managed services space for more than 15 years, having served nearly every role in architecting, selling, implementing and delivering managed solutions. His team is made up of experts on ERP Solutions from Oracle and SAP along with Digital/eCommerce solutions from Adobe, Sitecore, Oracle and SAP. Kevin joined Rackspace as part of the acquisition of TriCore Solutions where he led both the Solution Architecture and Product Management functions. In his free time, Kevin enjoys chasing his three young children and attempting to be outside as much as possible.